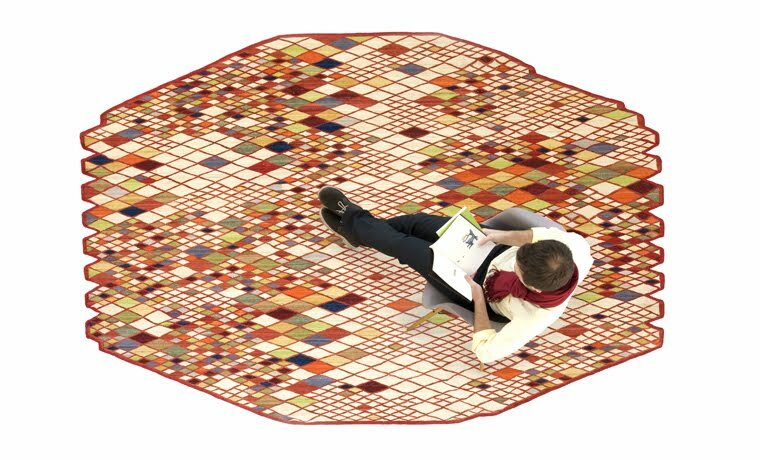 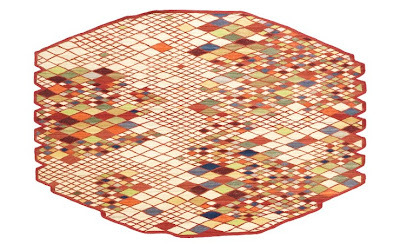 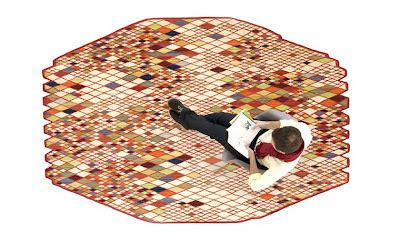 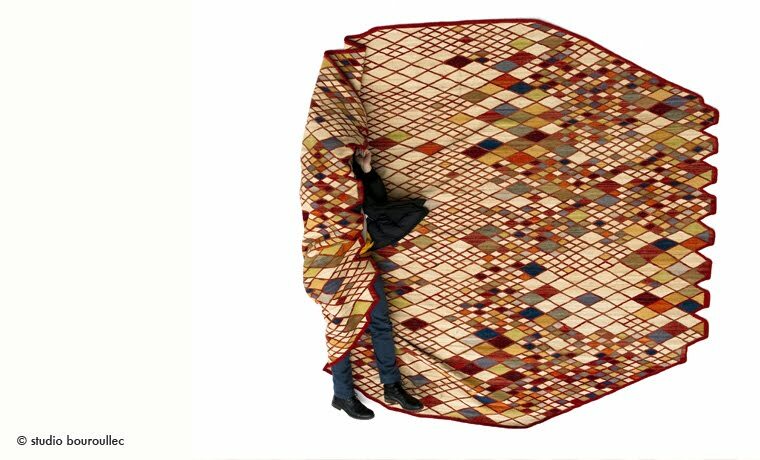 losANGES 13-Color Foldable Modern Tribal Area Rug from naniMarquina Rugs- The Losanges rug was created and designed by Ronan & Erwan Bouroullec in collaboration with Care & Fair for Nanimarquina in Spain. 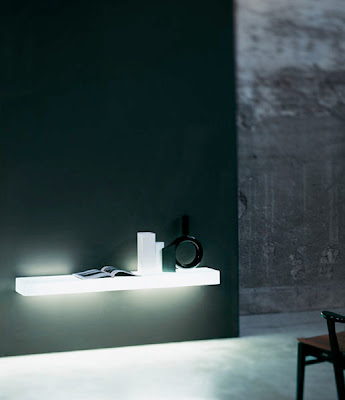 The Bouroullec brothers continue their study of simplicity and elegance with their new Losanges collection. It’s about reinterpreting the traditional Persian rug using the ancient kilim technique. 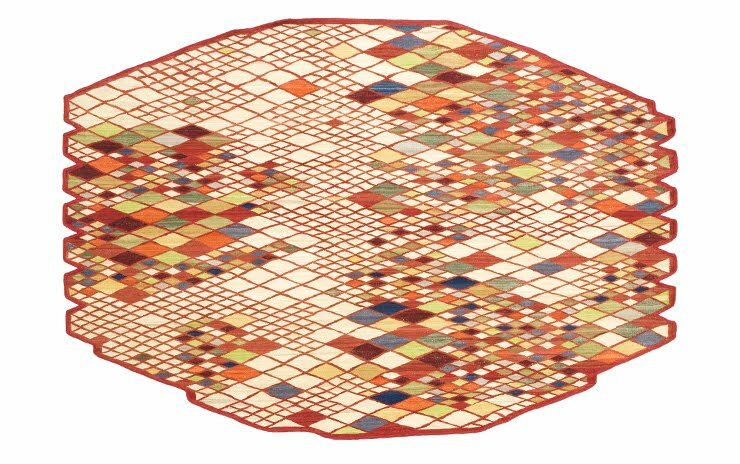 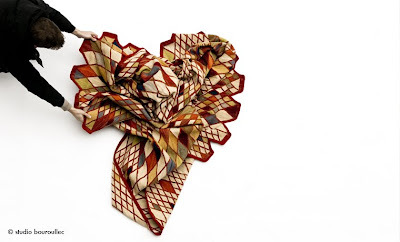 Technically complex, the Losanges collection requires great skill as it involves combining 13 colors through the geometrical rhombus shape, a great challenge for the craftsmen of Northern Pakistan. 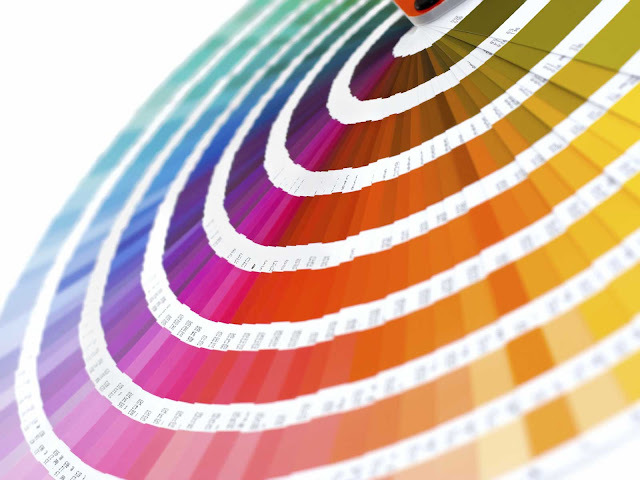 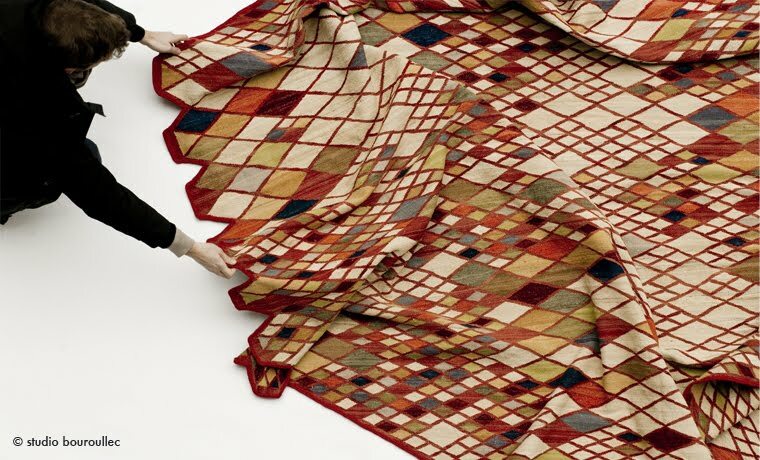 As well as being crafted by hand, the Afghan wool is also spun by hand, which allows for some unique color tones to be highlighted which make each rhombus different and each rug a unique item.